Here is an offer for people who has recently upgraded to 4G. Airtel is giving away 1 GB data for free. All you need to do is just dialing the mentioned number from your Airtel mobile number in which you have upgraded to 4G. Please note that this offer is applicable only for selected states and users. Why don't you try your luck when it is all about dialing a number after all? 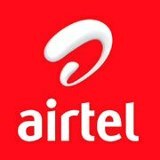 Here is the step by step procedure on how to get free 1GB data in Airtel. Dial the number 52122. You should dial from the mobile number in which you have upgraded to 4G sim. That's it. If you are eligible to get free 1 GB data, you will get a confirmation message. Free 1 GB data will get automatically added to your 4G account. Data balance can be checked by simply dialing *121*2# from that mobile number. You will come to know whether you got free 1 GB data in your account. Please note that it is a limited period offer. Make sure that you grab it before it goes off. Also, kindly note that the offer is valid only for selected users/states.